Join us after church on Sunday, February 18 for an insightful experience that will also be a welcome break from the drinking water crisis. Outspoken Councilman Eric Mays, who has taken a leadership role in addressing the crisis, will speak to the crowd. Metropolitan Baptist Tabernacle’s Rev. Dr. Herbert Miller will also speak. . Dr. Miller has worked throughout his career to unite church and community in social causes that matter most to everyone. 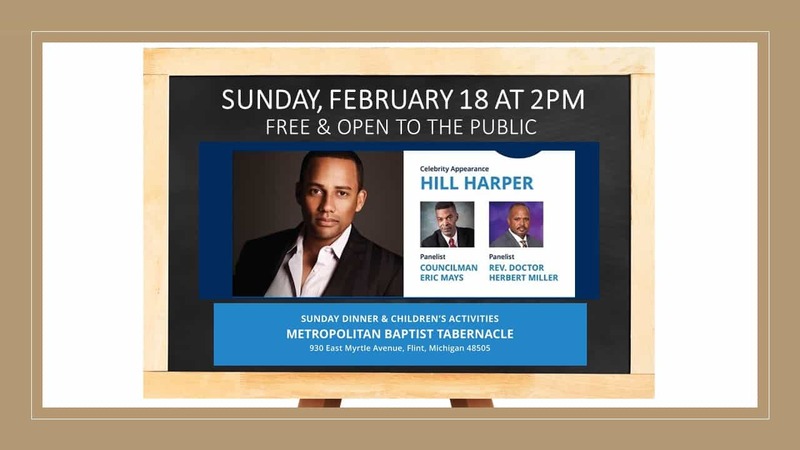 Because he cares about this issue as well, film and television star Hill Harper will take a break from his busy schedule to join the food, insight, and fun. The former CSI:NY regular has three Ivy League degrees and is also a close friend of former President Barack Obama. There will also be lots of activities for kids. 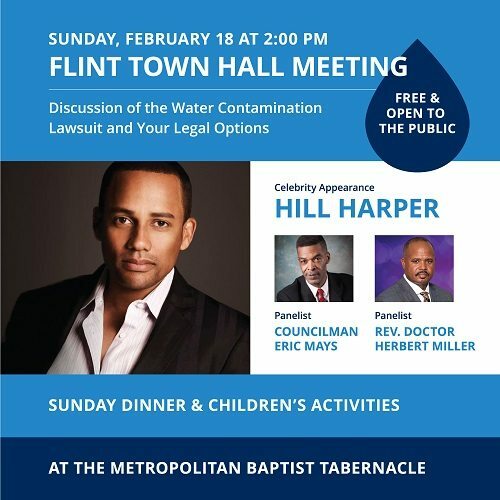 Join us beginning at 2:00 at Metropolitan Baptist Tabernacle, 930 East Myrtle, Flint, Michigan, 48505. We’ll share a meal and then get down to business. In 2014, officials changed Flint’s drinking water source from a combination of the Detroit River and Lake Huron to the Flint River. Almost immediately, many residents complained of foul-smelling and/or dirty drinking water. Some even began buying bottled water. It was soon discovered that the new water had no corrosion inhibitors. As a result, led lining from the aging water pipes seeped into the drinking water. As many as 12,000 children were directly exposed to dangerous lead levels before anybody thought about doing anything. Scientists have also linked the metal poisoning to a deadly Legionnaires’ Disease breakout that has already affected dozens of families. 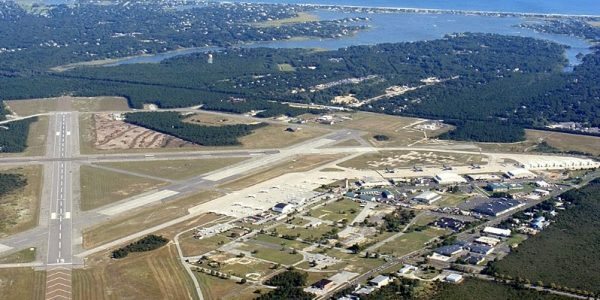 While public officials dragged their feet, Napoli Shkolnik attorneys partnered with the NAACP to bring an action in federal court. 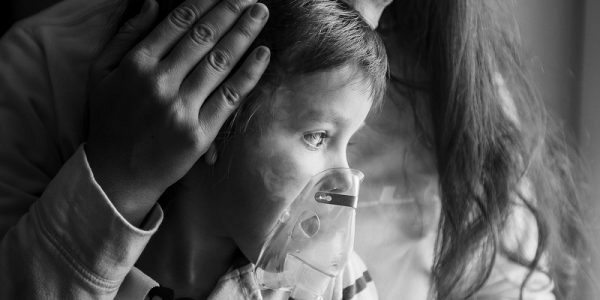 According to court documents, Lockwood, Andrews & Newnam (LAN) and Veolia North America (Veolia) failed to follow minimum safety guidelines and ignored clear lead poisoning warning signs, putting tens of thousands of families at risk. Why Was a Lawsuit Filed? Allegations flew back and forth as to why the Michigan state government was so slow in responding to the public health emergency. The reasons aren’t really relevant. The point is that elected officials did not do enough, so like they do in other situations, attorneys stepped in to get justice for victims. More importantly, the lawsuit will most probably result in significant compensation. Most state and city governments are in no financial position to pay damages. At most, these entities would probably raise taxes to pay for the settlement, so victims would essentially get nothing. But by targeting the private companies who were truly responsible for this outrage, Flint families have a better chance to get the money they need to carry on. Recently, a federal judge in Ann Arbor consolidated most of the Flint water quality lawsuits and tapped former Wayne County Chief Judge Pamela Harwood and former U.S. Senator Carl Levin as mediators. The plaintiffs are hopeful that a victims’ compensation fund could be set up sometimes in 2018. Parallel proceedings in other forums are moving along as well, albeit at a much slower pace. Former DPW director Howard Croft and former emergency manager Darnell Earley both face criminal charges for their part in the crisis, but their trials have been delayed again. Environmental Protection Agency Administrator Scott Pruitt has finally weighed in on the crisis as well, vowing to “eradicate” the lead poisoning problem. 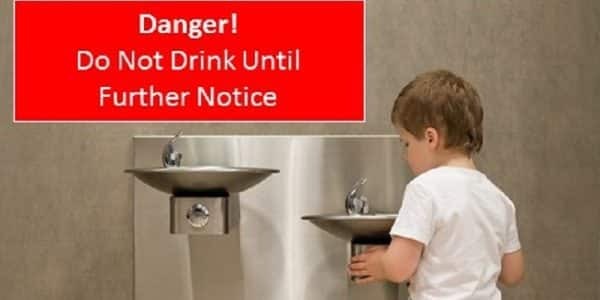 At Napoli Shkolnik PLLC, we proudly stand up for families in Flint and other communities around the country who must deal with poisoned drinking water due to corporate greed. We can help you as well, so call an experienced New York personal injury attorney today if you were injured by someone else’s negligence.